To celebrate the upcoming Australian Release of Tomb Raider—starring Alicia Vikander— OMD, Isobar and Roadshow Films invite Australians to take part in Raid The Tomb, where they will walk into Lara Croft’s shoes, solve puzzles and uncover a hidden tomb for their chance to win a Cape Town adventure for two. Australian audiences will be invited to unearth a series of puzzling enigmas across outdoor, press and digital. They will need to solve each challenge to reveal the location of the hidden tomb and the riches inside. Isobar worked collaboratively with OMD to create this immersive and rich media experience for Roadshow Films to build hype and excitement ahead of the reboot of this popular franchise. 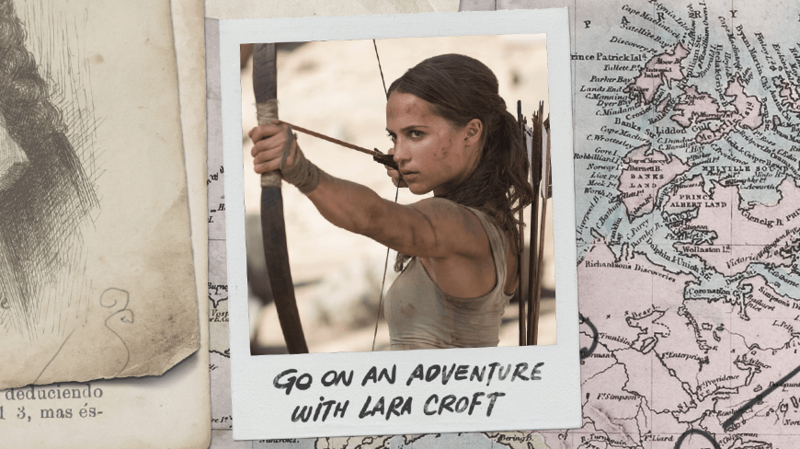 The integrated campaign allows players to enter Lara Croft’s world with ease; on the bus, on their lunch break or reading their Saturday paper. Launching the campaign is Alicia Vikander with a personal recruitment call to Australians. Across the two weeks, Lara’s supporters will find physical clues, social games and audio encouragement. Emma Ray, Account Director, OMD said : “Partnering with Isobar to release this film has enabled us to tell a unique story through media which will weave seamlessly with our brand messaging. We’re able to leverage the strengths of each channel to engage consumers and really bring Lara to life,” Emma Ray, Account Director – OMD. The first puzzle launched on 6 February at the Croft Holdings Facebook Page. Tomb Raider is in cinemas 15 March, 2018.